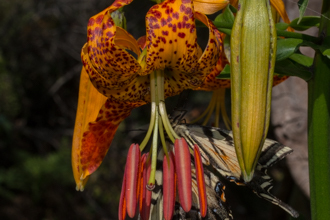 Mariposa means "butterfly" in Spanish, and the flowers of this plant do bear some resemblance to the winged insect. 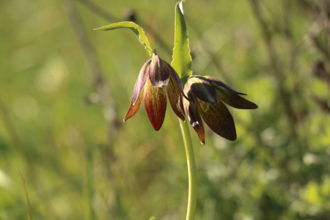 They are are a few inches in diameter and quite showy, having 3 wedge-shaped petals and sepals, forming a goblet- or bowl-shape. Calochortus means beautiful grass, referring to the long, grasslike leaves, which are not very noticeable and wither somewhat when the plant is blooming. These are perennials which sprout from a bulb, a food source for native people. 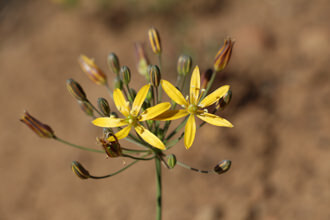 The bulbs of this plant were eaten raw, roasted in ashes, boiled, or baked in an earth oven. 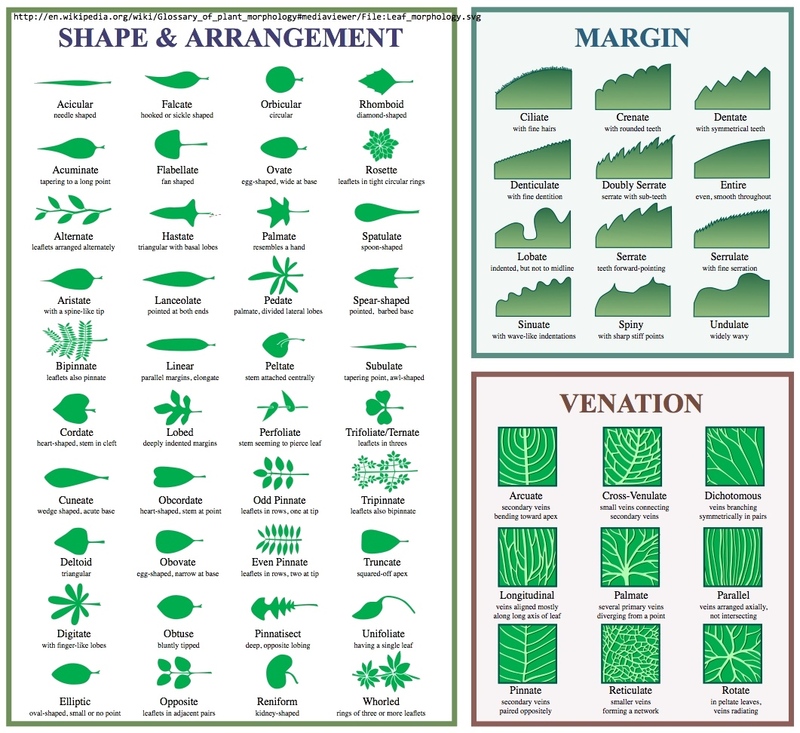 The following chart gives some distinguishing characteristics of the Mariposas which are native to our mountains. Catalina, Plummer and Yellow Mariposa and Splendid are pictured on this page. 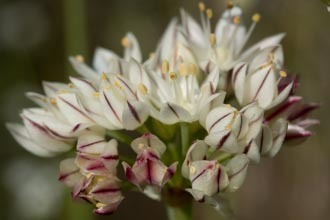 Hover over the images to see the names of the flowers. 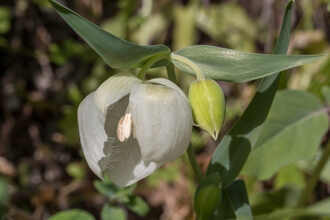 The gallery is arranged so that images 1 through 8 are Catalina Mariposa Lily (the most common variety in our area), 9-14 are Plummers Mariposa Lily, 15-19 are Yellow Mariposas, 20-22 are Butterfly Mariposas and 23 is the Splendid Mariposa Lily. Last modified: January 13 2018 19:31:20.